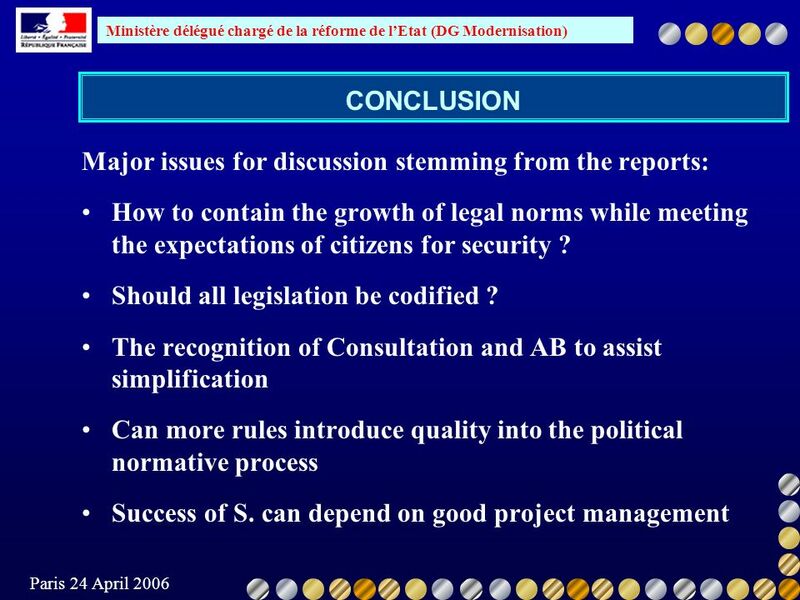 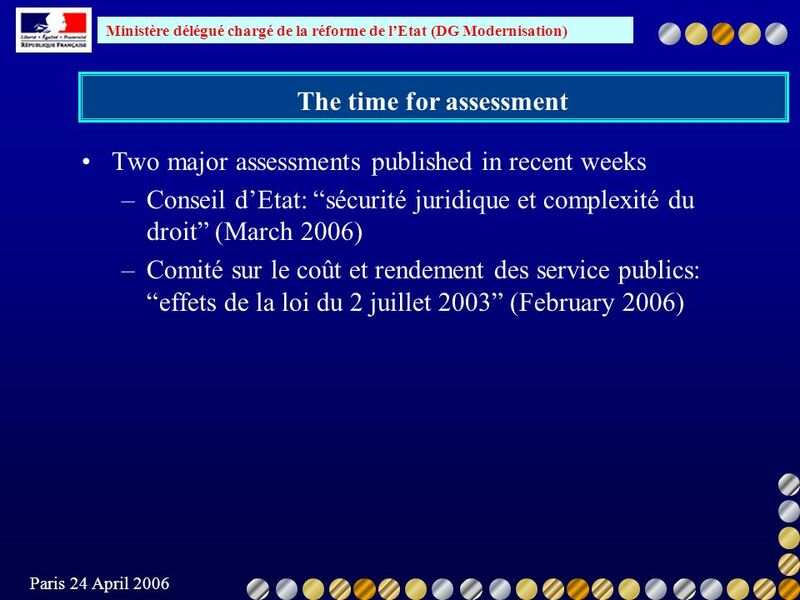 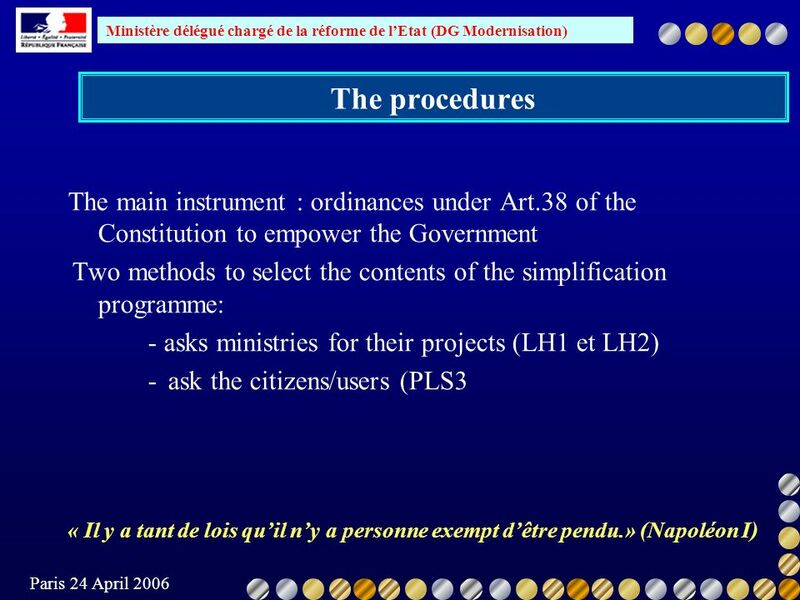 2 Ministère délégué chargé de la réforme de lEtat (DG Modernisation) Paris 24 April 2006 The right time to examine what has been done The tools –3 simplification laws (annual?) 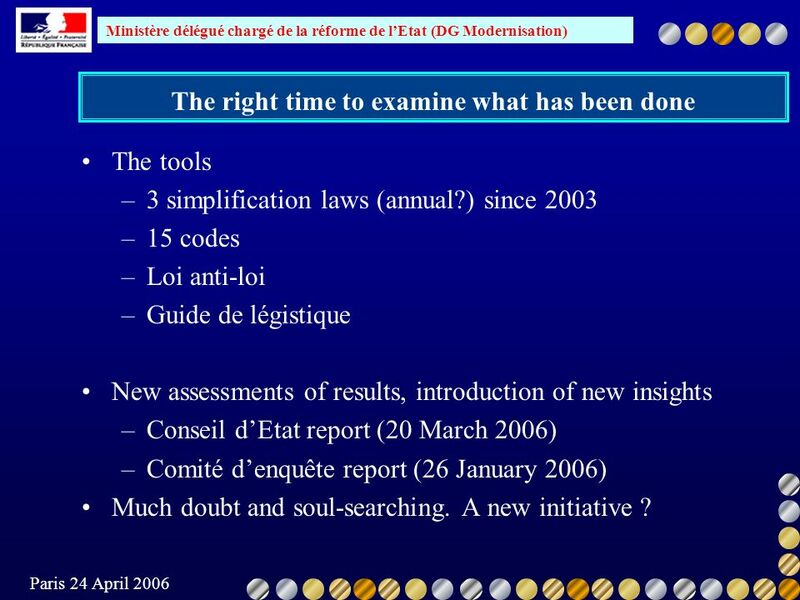 since 2003 –15 codes –Loi anti-loi –Guide de légistique New assessments of results, introduction of new insights –Conseil dEtat report (20 March 2006) –Comité denquête report (26 January 2006) Much doubt and soul-searching. 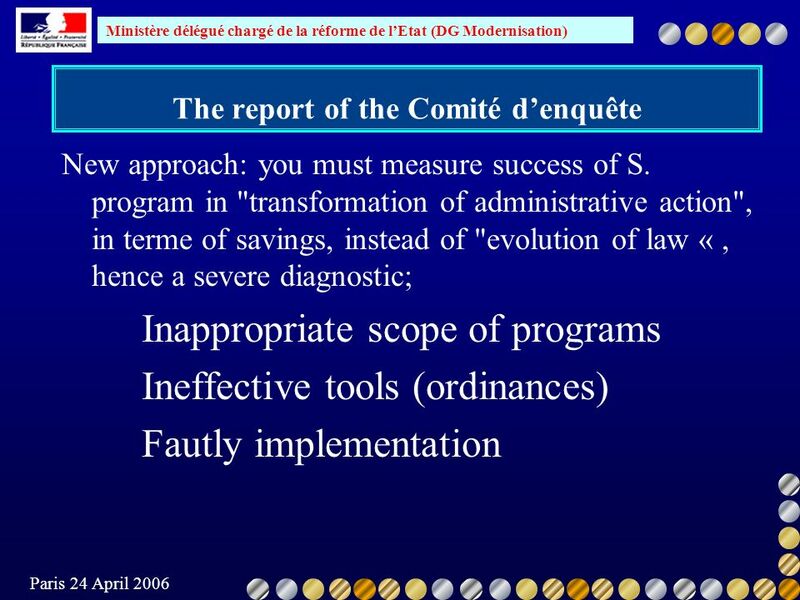 A new initiative ? 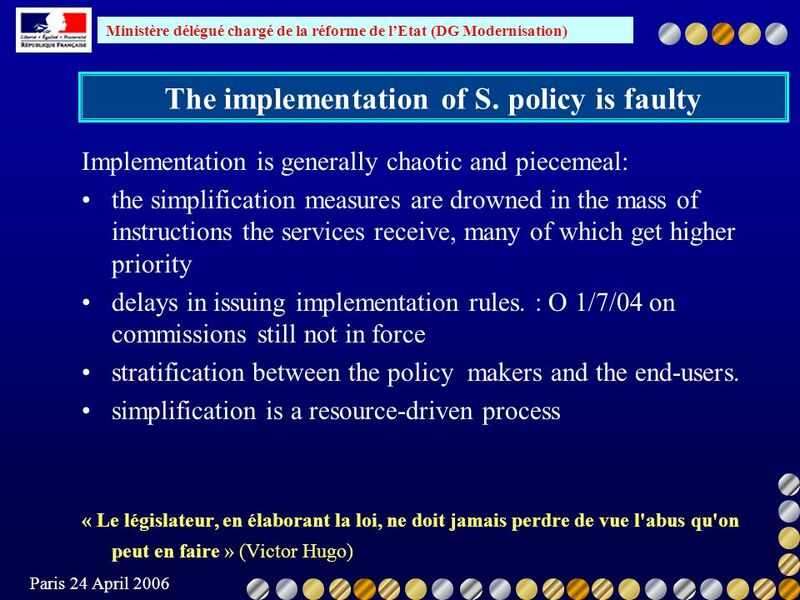 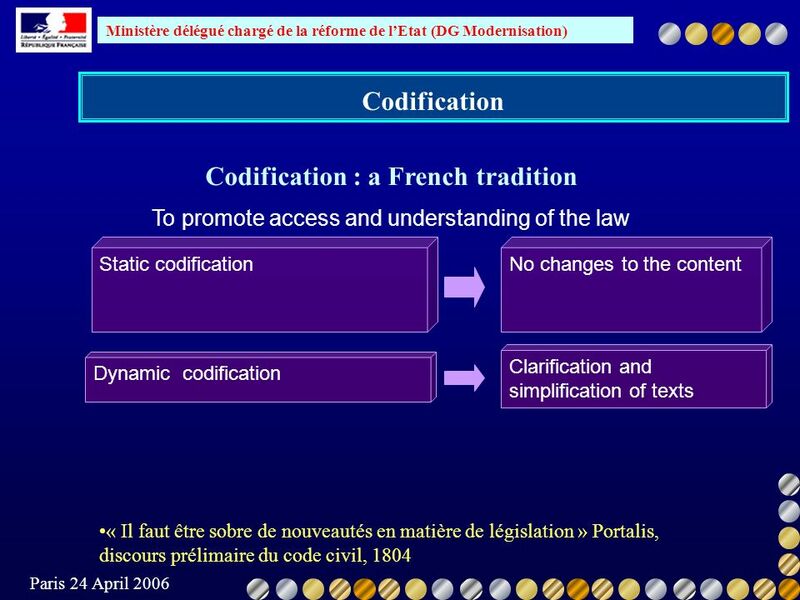 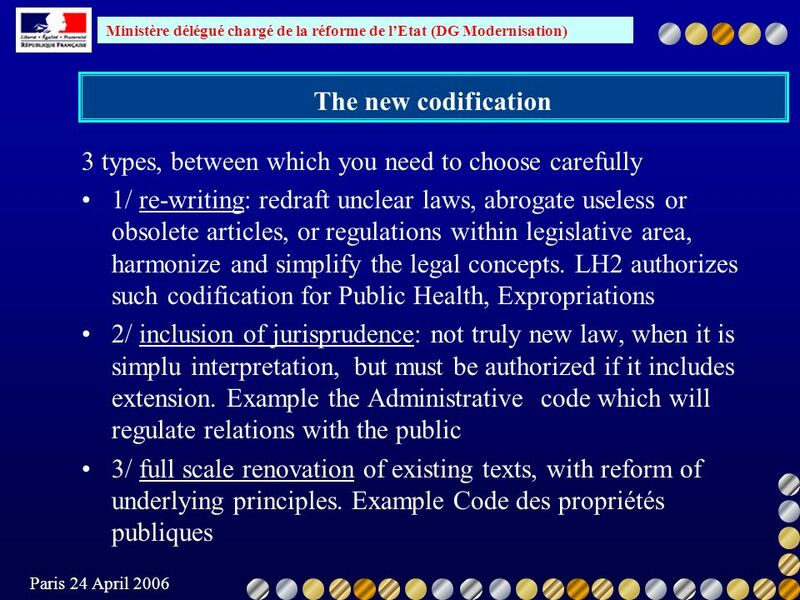 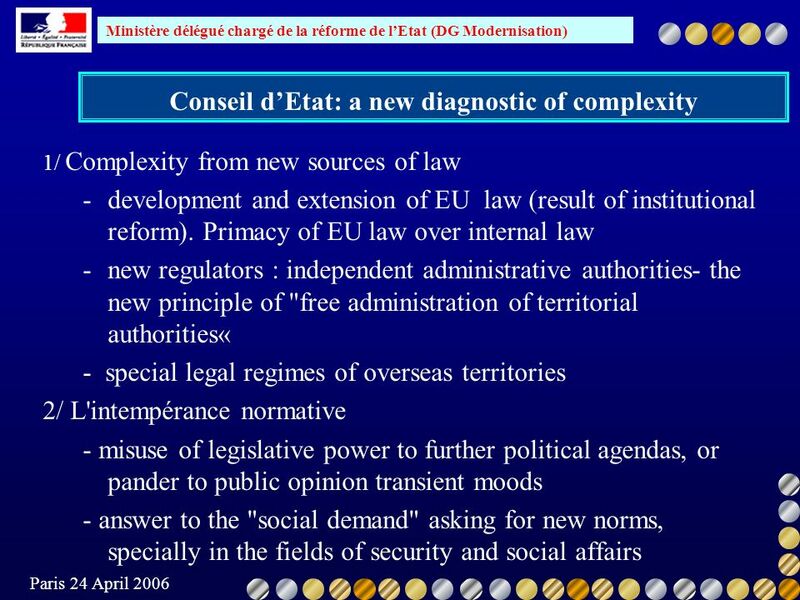 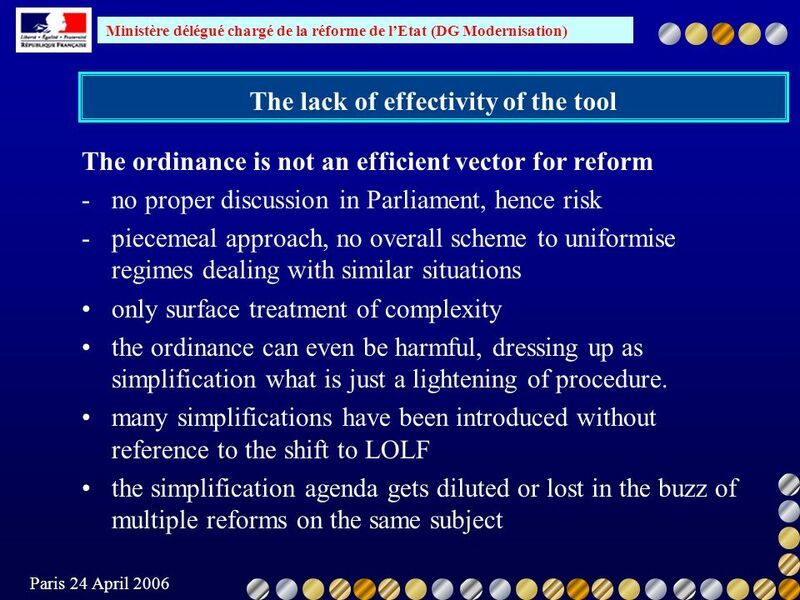 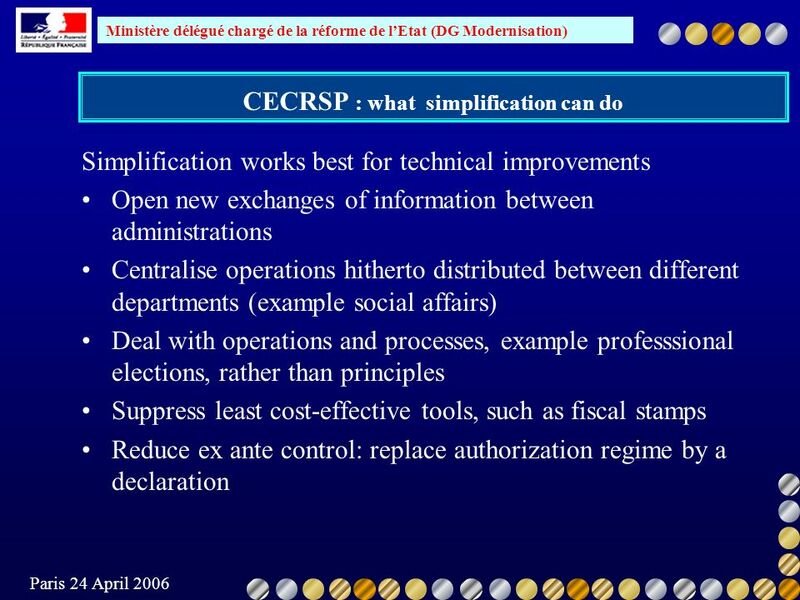 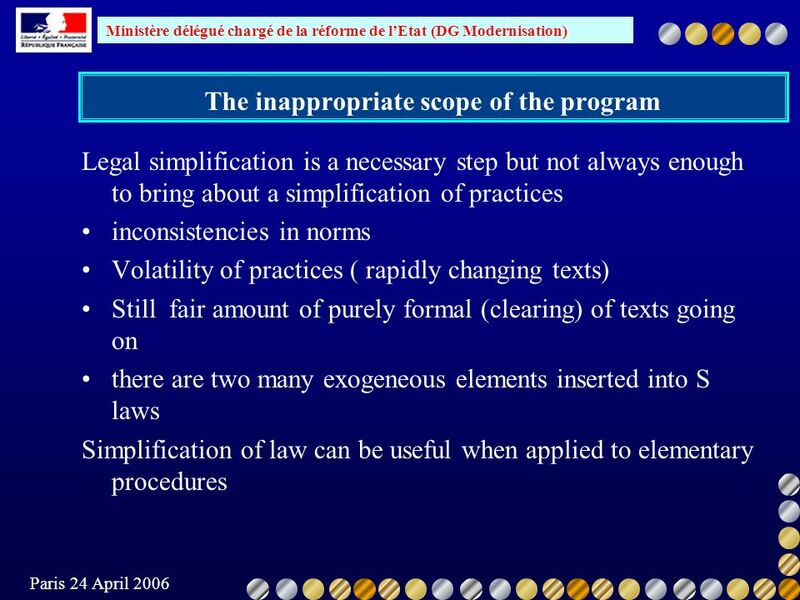 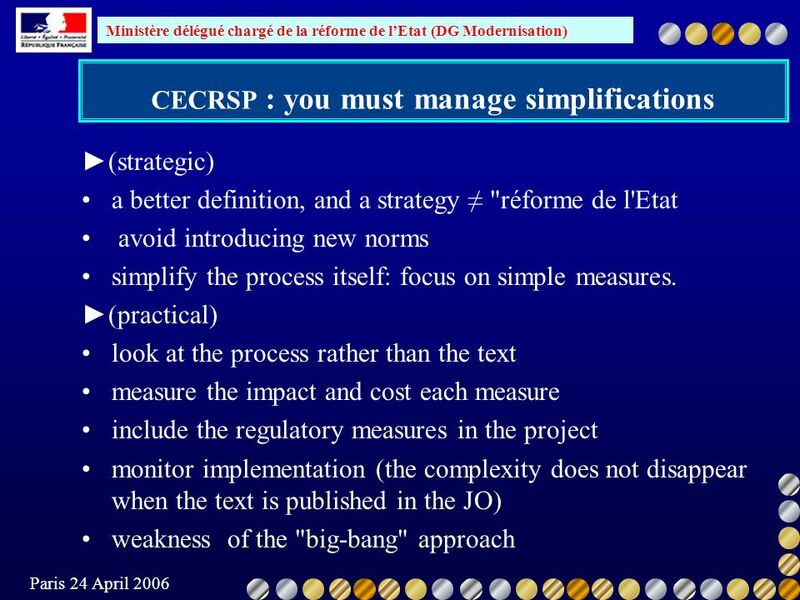 13 Ministère délégué chargé de la réforme de lEtat (DG Modernisation) Paris 24 April 2006 C.E.s recommendations for change Time –limits: OECD diagnosed that the system of written Roman law does not ascribe time-limits to legislation, hence the piling up of texts, which codification has failed to contain. 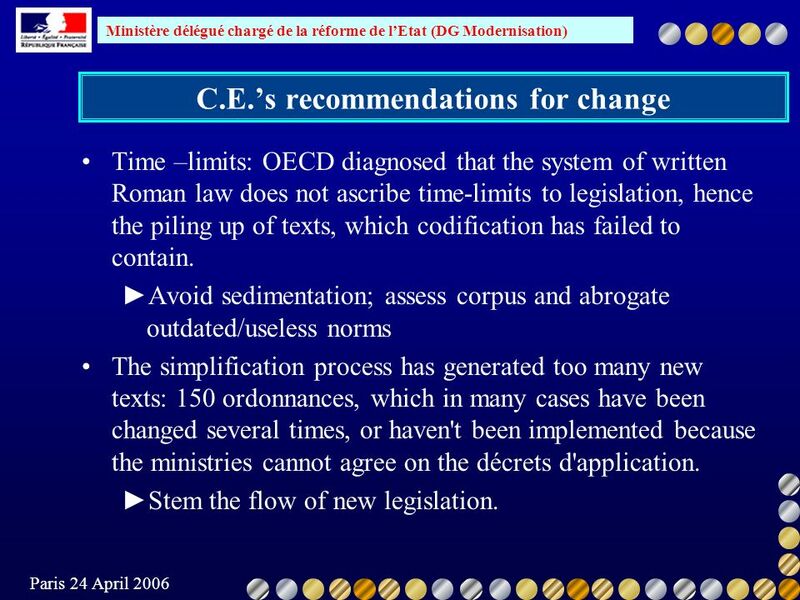 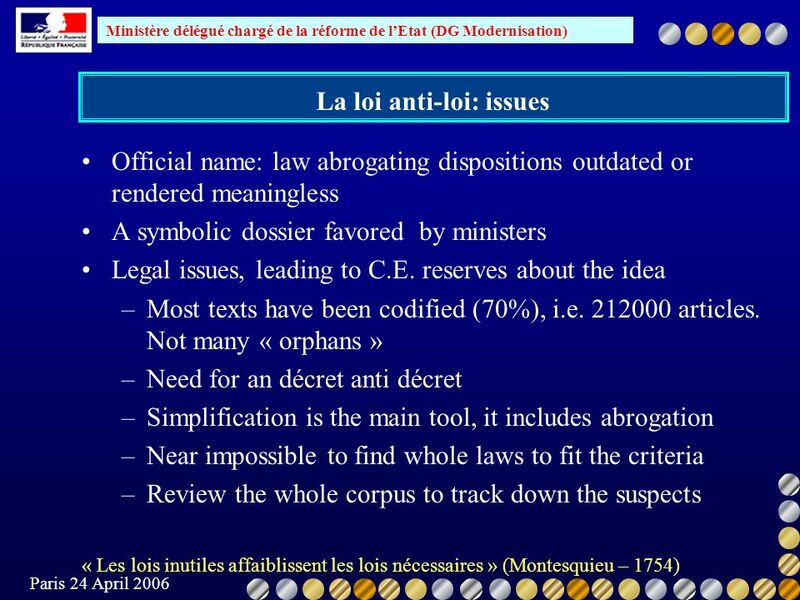 Avoid sedimentation; assess corpus and abrogate outdated/useless norms The simplification process has generated too many new texts: 150 ordonnances, which in many cases have been changed several times, or haven't been implemented because the ministries cannot agree on the décrets d'application. 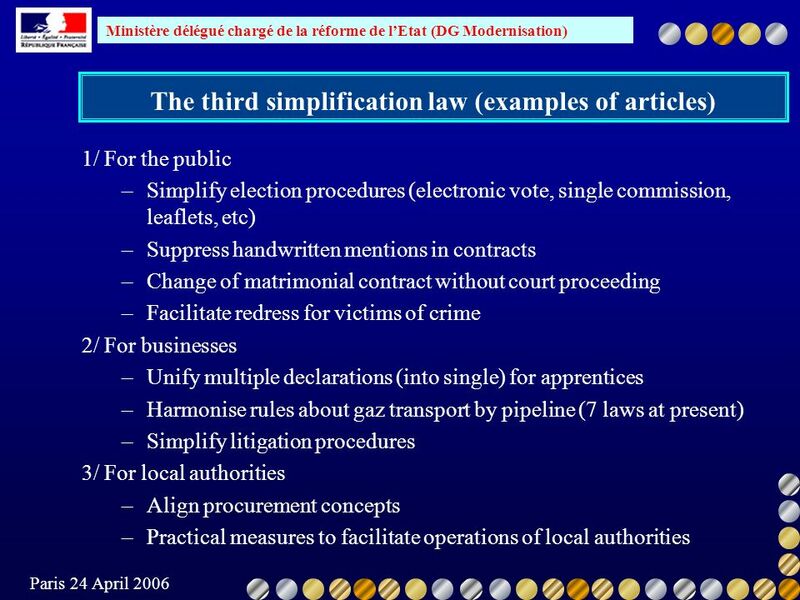 Stem the flow of new legislation. 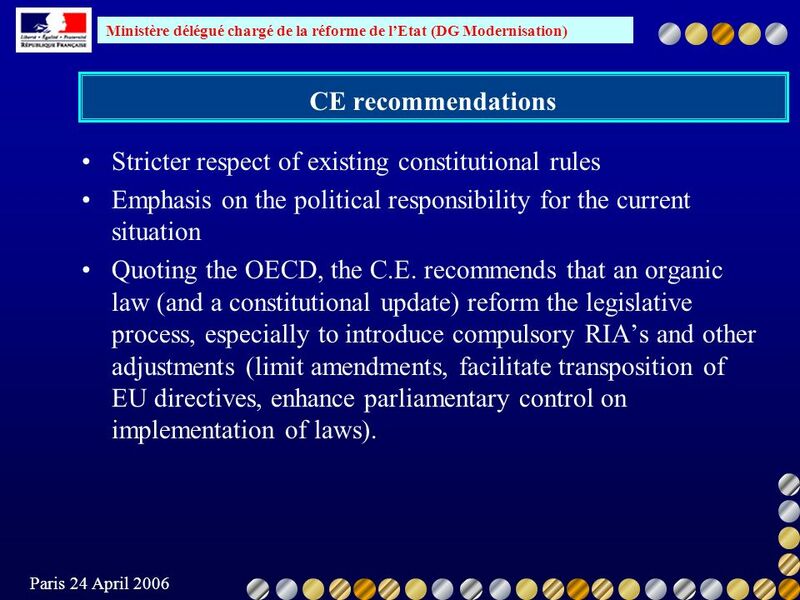 14 Ministère délégué chargé de la réforme de lEtat (DG Modernisation) Paris 24 April 2006 CE recommendations Stricter respect of existing constitutional rules Emphasis on the political responsibility for the current situation Quoting the OECD, the C.E. 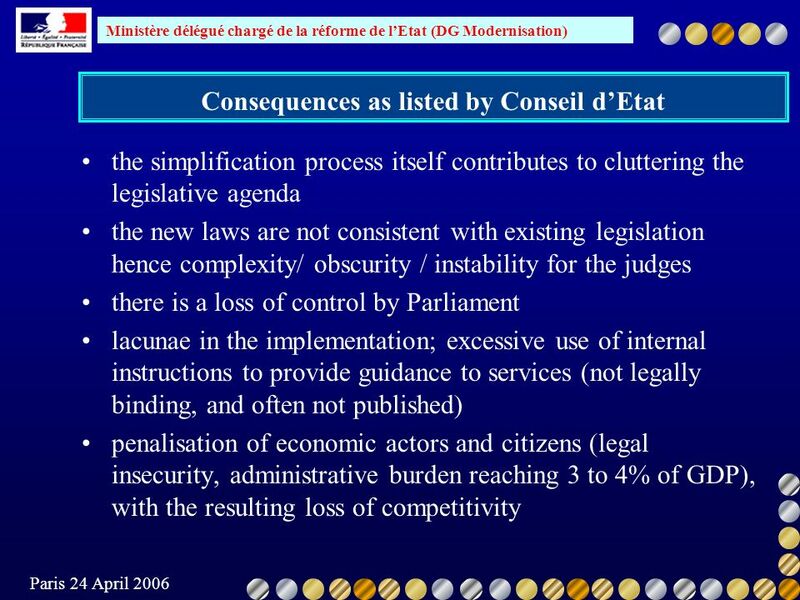 recommends that an organic law (and a constitutional update) reform the legislative process, especially to introduce compulsory RIAs and other adjustments (limit amendments, facilitate transposition of EU directives, enhance parliamentary control on implementation of laws). 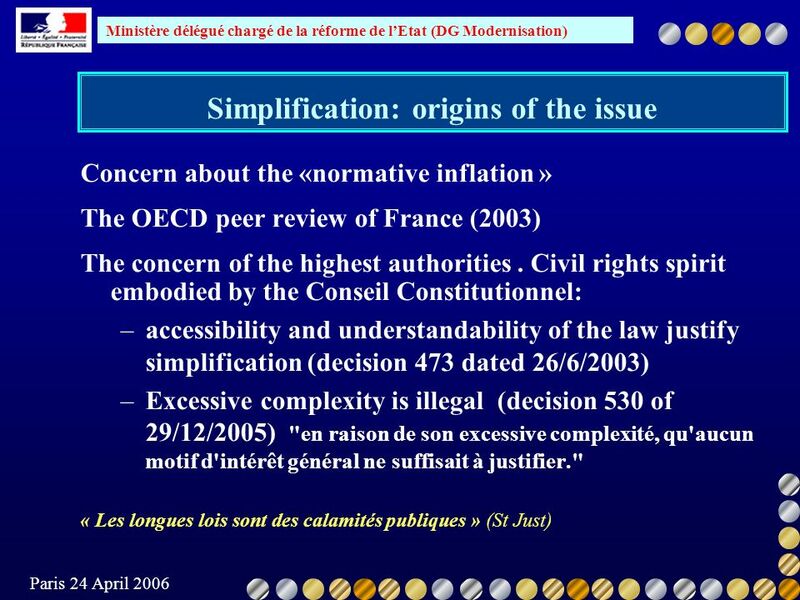 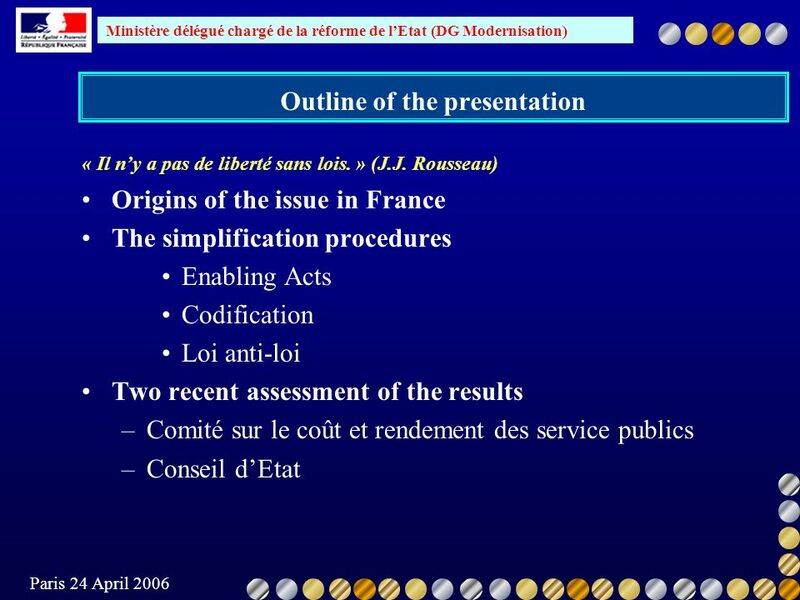 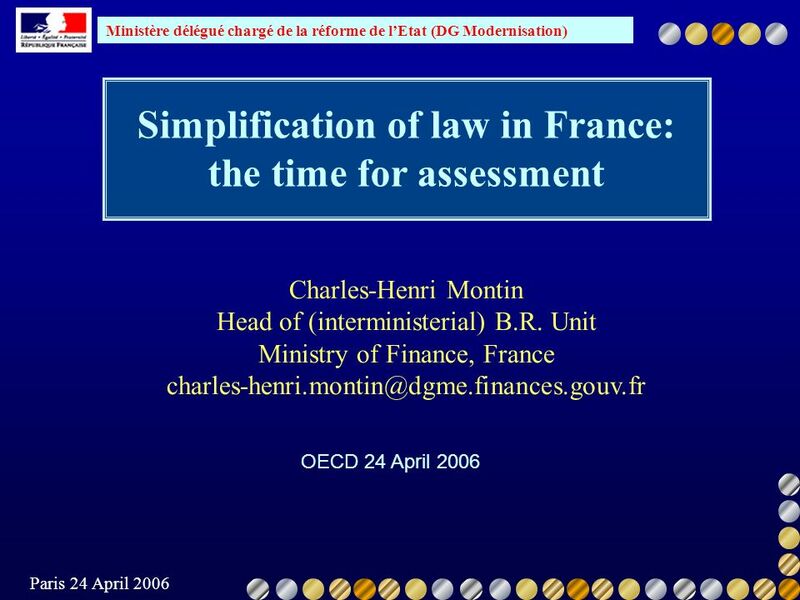 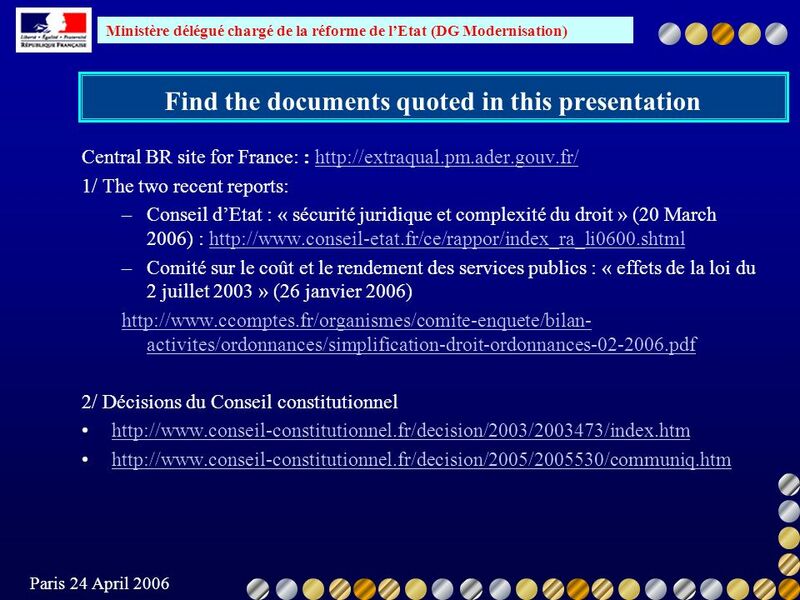 Télécharger ppt "Ministère délégué chargé de la réforme de lEtat (DG Modernisation) Paris 24 April 2006 Simplification of law in France: the time for assessment OECD 24."